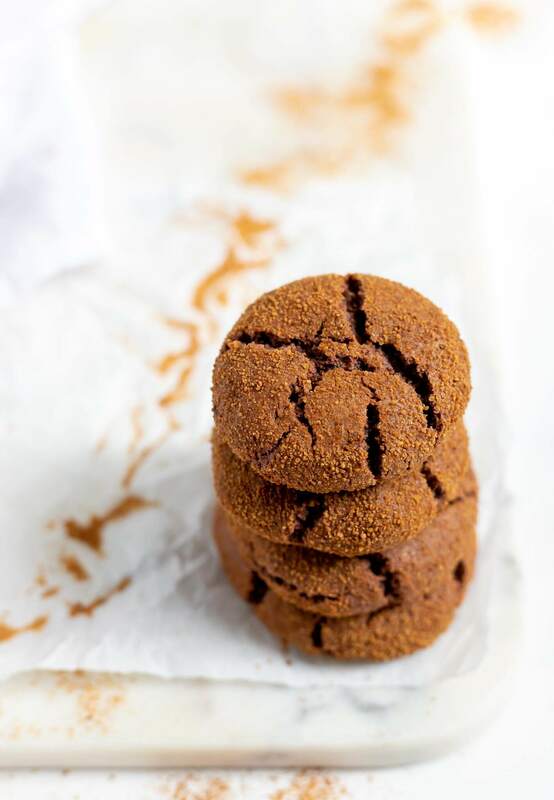 This Gluten Free Ginger Cookies Recipe is great for a special treat around the holidays. Gingerbread Cookies are always a fantastic addition to any Christmas Cookie platter. 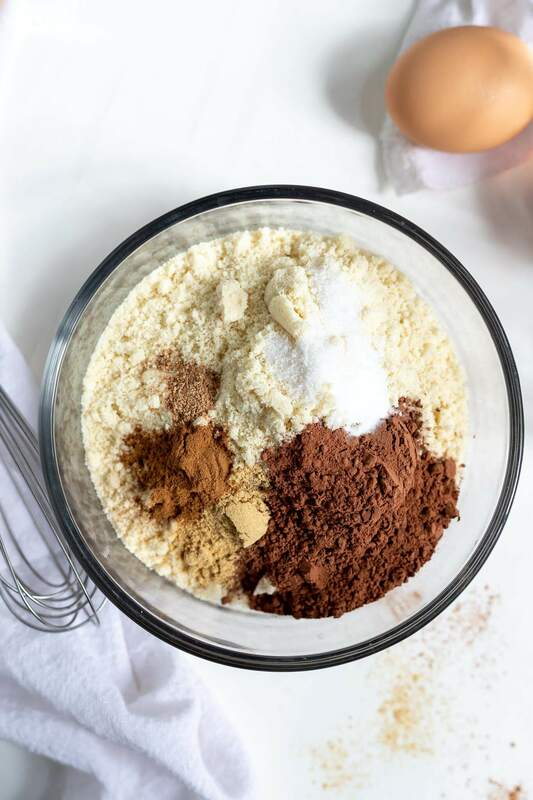 This cookie recipe is Gluten Free, Dairy Free and Paleo friendly. 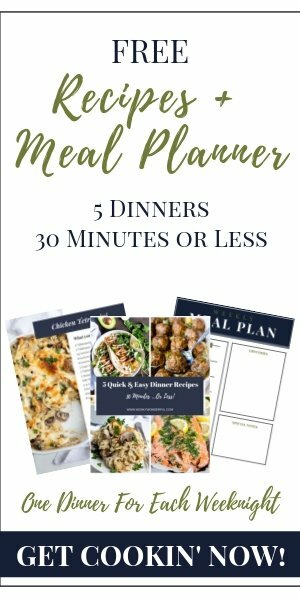 This recipe is in partnership with Rodelle. It is that time of year again. Full of fudge, candy and cookies! You can still enjoy the holiday treats if you are following the Paleo diet or living gluten free. These Ginger Cookies do not require any obscure or strange ingredients that are difficult to find. The cookies are made with almond flour and sweetened with maple syrup. 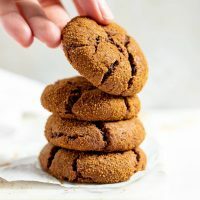 A small amount of cocoa give these cookies a hint of chocolate and the spices bring that traditional gingerbread flavor. 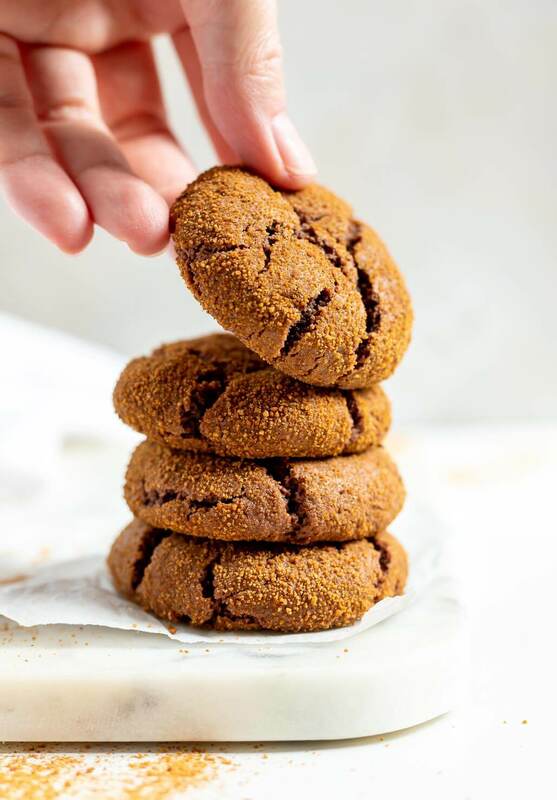 How do you make ginger cookies chewy? More moisture makes cookies chewier. 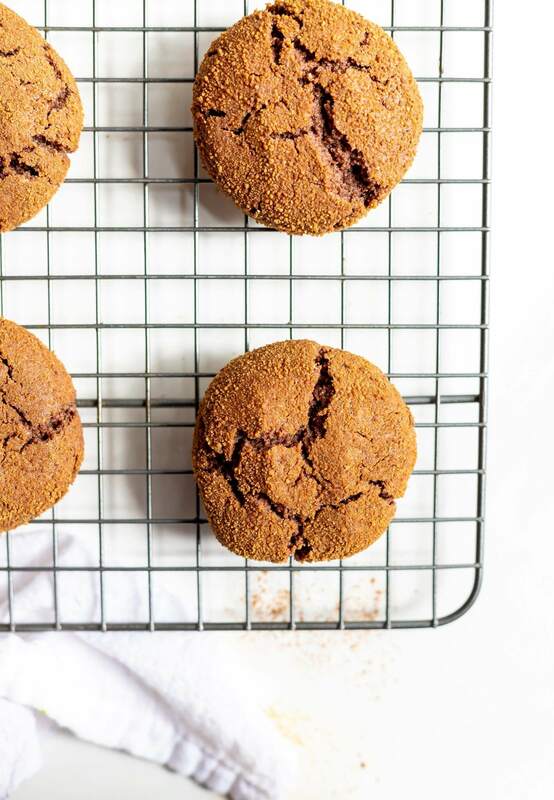 This Ginger Cookie Recipe has enough coconut oil and maple syrup to keep them soft and chewy. If you decrease the almond flour by no more than 1/4 cup they come out even chewier. But, the dough is more difficult to work with when made with less flour. What do you need for gingerbread cookies? You want all of the wet ingredients at room temperature or slightly warm. The coconut oil will become thick clumps if mixed into a cold egg. And you don’t want the oil so hot that it could cook the egg. You do need to chill the dough. This makes it thicker and easier to work with. When rolling into dough balls, keep wetting hands with water. This will prevent the dough from sticking to you. If you cannot find coconut sugar this step can be skipped. Rolling the dough in coconut sugar just adds a touch of sweetness and helps to get that crackly exterior. 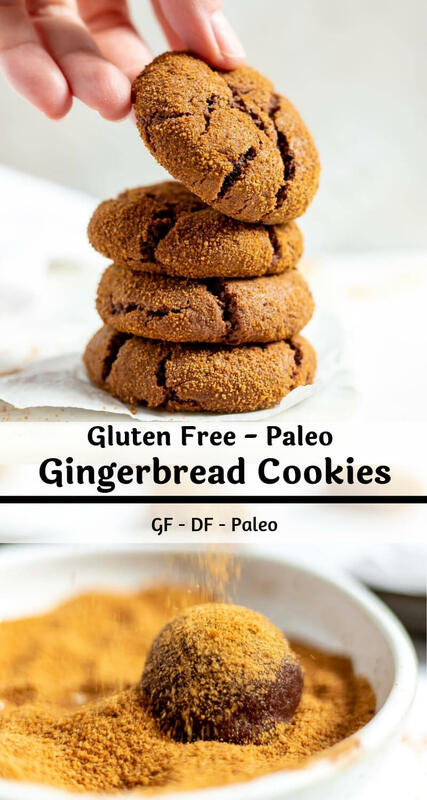 This Gluten Free Ginger Cookies Recipe is great for a special treat around the holidays. Gingerbread Cookies are always a fantastic addition to any Christmas Cookie platter. This cookie recipe is Gluten Free, Dairy Free and Paleo friendly. Whisk together egg, coconut oil and maple syrup. 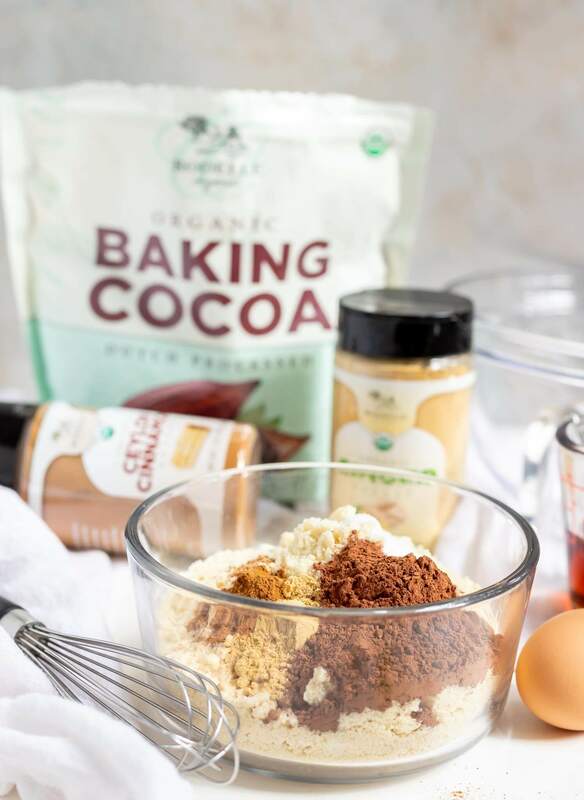 In separate bowl mix almond flour, cocoa, baking soda, salt, ginger, cinnamon and nutmeg until combined and free of lumps. Add dry mixture into wet ingredients and stir together. 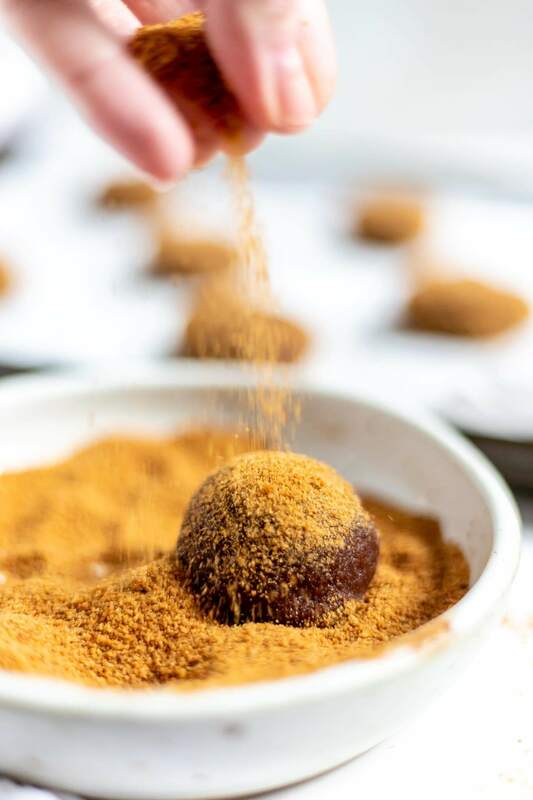 Mix coconut sugar, cinnamon and ginger in small bowl. Roll dough into walnut sized balls then roll balls in sugar mixture. Transfer to a rimmed baking sheet lined with parchment paper. Gently press down on each cookie ball to flatten slightly. Bake for 10-12 minutes then transfer to a cooling rack. Every year I bake dozens of cookies for the neighbors but the only one I look forward to is the Gingerbread. I love how the first bite takes me back to my childhood. I’m a gingerbread fan too! My favorite cookies are shortbread and molasses.